Written on 25th June 2018. 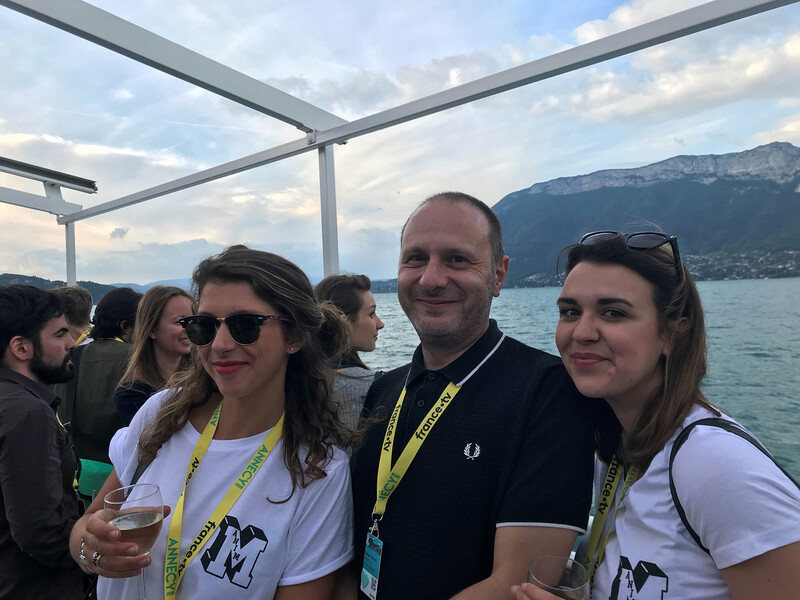 For over 50 years, the Annecy Festival has been dedicated to gathering independent and professional artists to create an environment of diverse, creative content. We went to the festival to discover the latest and greatest animated short films, and from the 130 short films picked for official competition this year, we have picked a handful that captivated audiences and critics alike. From touching to hilarious, here are the animated short films we recommend you don’t miss! Winning both the Cristal for a Short Film Award and the Festivals Connexion Award whilst employing 2D imagery beautifully, ‘Bloeistraat 11’ stood apart and was a favourite of ours at Annecy this year. Following the friendship of two young girls, the short film captures the awkwardness of puberty’s effects on their changing relationship. As their summer progresses, their childhood escapes them more and more, leaving us with a nostalgic feel as we enjoyed this short film. Directed and written by Magali Barbé, ‘Strange Beasts’ depicts both the wonders and possible dangers of the powers of augmented reality. Mixing special effects and 3D computer imaging with live action, this short film acts as a warning of a world developing rapidly to mix reality with fantasy, until they have become nearly inseparable. Another Annecy favourite, ‘Hybrids’, also comments on the dangers created by modern society, depicting an undersea world and food chain that is drastically effected as it adapts to pollution. Winning the Jury Distinction award, this short film’s beautiful animation and important message made it a favourite for us at ShortsTV this year. This animated comedy directed by Alison Snowden and David Fine follows the encounter of a group of animals each struggling with their own compulsive behaviours, as they seek help in a group therapy session. From a leech’s battle of being too clingy, to a preying mantis’s terrifying appetite effecting her love life, ‘Animal Behaviour’ reveals the hardships of fighting one’s natural urges in this hilarious account. ‘Weekends’ was an immediate hit at Annecy this year, winning both the Jury and Audience award. Pixar story artist Trevor Jimenez managed to juxtapose wonderfully surreal moments with gritty, domestic scenes to captivatingly depict the realities of a broken home. Following the story of a young boy’s movements between his divorced parent’s houses, this final pick of ours is both an observant and touching film, and one we’d recommend not missing.